According to the Centers for Disease Control (CDC)1 and Sleep Education2, sleep hygiene “refers to a series of healthy sleep habits that can improve your ability to fall asleep and stay asleep.” Put simply, this term refers to the best sleeping habits. Sometimes, though, we fall into unhealthy patterns that can disrupt our bedtime routine— this can result in only getting a good night’s sleep every now and then. During the restless nights, we struggle to stay asleep and get restorative rest, which negatively impacts our sleep-wake cycle. Luckily, lifestyle changes such as changes to your bedtime routine can improve your sleep. Even if you experience occasional insomnia or anxiety, you can still improve your quality of rest. Regardless of your reasons for practicing poor sleeping habits, you can get yourself on the path to restful sleep with a little research, effort, and dedication to sticking to a routine. Most importantly, you have to want to make these lifestyle changes and be dedicated to sticking to them. Your mind and body love routine, it wants to go to bed and wake up at the same time every day. Allowing yourself to go off-course by abandoning these habits on the weekends can throw your entire routine off, affecting your sleep the other 5 days of the week. For best rest, we recommend practicing good bedtime habits every day of the week. Most people find themselves waking up early during the work week, and sleeping in on the weekends. However, the habit of sleeping in on the weekends to make up for a lack of sleep during the week is actually bad for your body. Why is that? As mentioned earlier, your body requires routine, this helps keep your body processes in sync and on track. We need a certain amount of sleep to live all-around healthy lives. Sleeping for 5 hours one night and 10 hours the next throws off your sleep-wake cycle. Instead, sleep specialists recommend adults sleep for 7 to 9 hours every night. Sleep-deprivation affects your physical, mental, and emotional health. If you let sleep-deprivation get severe enough, it can disrupt your career, your relationships, your schooling, and other important aspects of your day-to-day. Not getting enough sleep can make it harder to study, get work done, and maintain healthy, close relationships. Even if it’s every once and awhile, practicing poor sleep hygiene is not recommended. Allowing yourself to abandon routine every now and then fosters the development of these bad habits. The more frequently you allow yourself to sleep poorly, the more established the bad habits become. To ensure you’re getting a good night’s sleep every night, practice good sleep habits every night. After establishing good sleep habits, you should notice a difference in the way you feel, how clearly you can think, and how productive you become in life. Soon, you won’t feel as if you’re following a “bedtime routine” and these habits will become second-nature. Do You Have Poor Bedtime Habits? Do you feel tired and sluggish consistently throughout your day? Are you unable to sleep throughout the night without waking periodically? Do you sleep at different times of the day and for different amounts of time? Not getting enough sleep significantly impacts the hours you spend awake, making it difficult for you to live your best life. If you want to improve your overall well-being, kicking your bad habits to the curb is essential. While this list of questions to consider is not all-inclusive, it provides a good idea of whether or not your body is getting the sleep it needs. If you answered yes to one or more of the questions, read on to learn how to establish better habits. 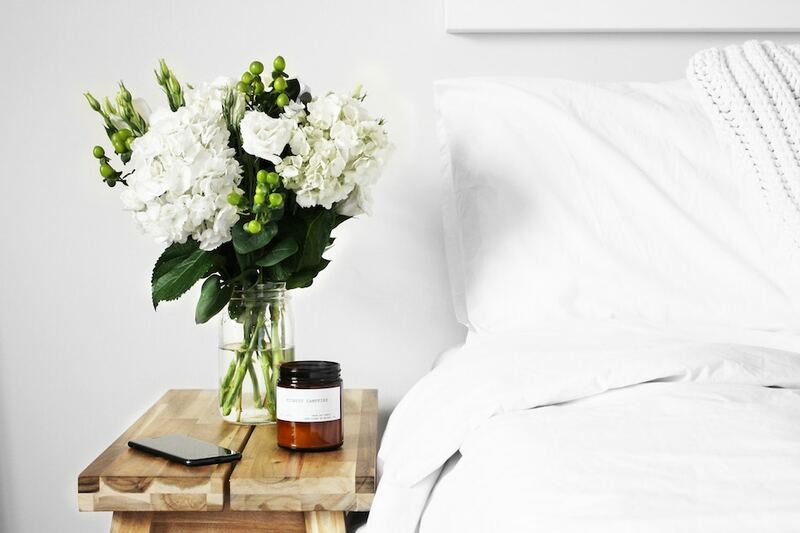 To make your life easier, we compiled a list of the ten best habits to practice before bed. Use this list to gauge whether or not your habits now are healthy, and if not, start replacing the old with the new. Eventually, you will see and feel a difference in how you sleep and how you feel during your waking hours. This is a very important first step for anyone who wakes up feeling unrested. Did you oversleep? Did you not sleep enough? Since the amount of sleep we need varies throughout our lives, it is best to know how much you need depending on your age. Very Well Health recommends 7-9 hours for adults. To be even more accurate, research shows that the optimal sleep duration is eight hours and 10 minutes. To determine how much sleep your body requires, let your body fall into its natural sleep cycle. To do this, go to sleep early and allow yourself to sleep until you naturally wake up. Do this for two weeks. As you do this, your body is “catching up” on sleep and then falling into its circadian rhythm. Keep a sleep journal documenting when you go to sleep and when you wake up during this time to gauge how much sleep you’re getting every night and calculate how much sleep you need. Now that you have a good idea of how much sleep you need, setting a routine is next. This can be a tricky step for some. For example, if your days do not follow the same routine, you may not want your nights too, either. It’s also possible you may be someone who looks forward to staying up late and sleeping in on the weekends. However, when establishing good sleep habits, do your best to stick to a routine. Find an ideal time to go to sleep each night and settle on a standard wake up time each morning, even on the weekends. The foods and drinks you consume influence your quality of sleep. Eating healthy during the day and maintaining a better sleep diet in the hours before bedtime is the best way to ensure you’ll be getting sound sleep. If you aren’t focused on healthy habits while awake, it will be harder to fall asleep. Additionally, developing a disease or illness due to poor eating habits may impact your sleeping habits. Your physical and mental health goes hand-in-hand with how well you can sleep. Living an all-around healthy life allows you to make the most of your waking hours. Research shows exercising for 30 minutes five days a week can help you fall asleep faster and stay asleep longer. Cardio in the mornings is a great way to wake your mind and body up. A morning run can lower your blood pressure and facilitate longer, restorative sleep at night. Yoga, on the other hand, is best practiced before going to bed. Yoga activates your parasympathetic nervous system, controlling your “rest and digest” functions. When this is activated, it relaxes your body and promotes a sense of calm. Practicing yoga before bed helps set the tone and relax you before even climbing into bed. There are a variety of reasons why electronics can disrupt your sleep pattern. The biggest is the blue light they emit can wreak havoc on your sleep-wake cycle. Whether you are on your phone or computer in bed, your brain is working instead of resting. Staying up past your scheduled bedtime will disrupt your sleep routine you have worked so hard to establish. We recommend shutting off all electronic devices 30 minutes before you should be asleep. Doing this will give your body the time it needs to wind down before bed. Also, keep in mind, electronics in bed also interferes with the habit of designating bed for sleep and sleep alone. Avoid scrolling through your phone as much as you can during the time you spend in bed. This may be an obvious one, but drinking a cup of coffee before bed is not the best idea. Caffeine is a stimulant, meant to energize your mind and body. Be sure to cut out all caffeine at least 5 hours before bedtime. To strategically incorporate coffee into your day, we recommend trying a “caffeine nap” earlier in the day. Typically, it takes 20 to 30 minutes to feel energized after finishing a cup of coffee. If you take a power nap right after finishing a cup of joe, the caffeine should kick in right as you wake up, leaving you more energized than if you were to just nap or just drink coffee. While falling asleep your body temperature lowers itself 1 or 2 degrees. Keeping your room cool helps facilitate this drop in temperature and helps you stay asleep throughout the night. Sleep specialists recommend keeping your bedroom temperature between 60 to 67 degrees, temperatures below 54 and above 75 can hinder sleep. If you find cranking the AC results in a costly bill, try setting up floor and ceiling fans in your room to promote cool temperatures. When setting up fans, make sure they’re rotating counter-clockwise— this will lift the hot air in your room up and out instead of blowing it around. Another potential source of heat is the mattress you sleep on. 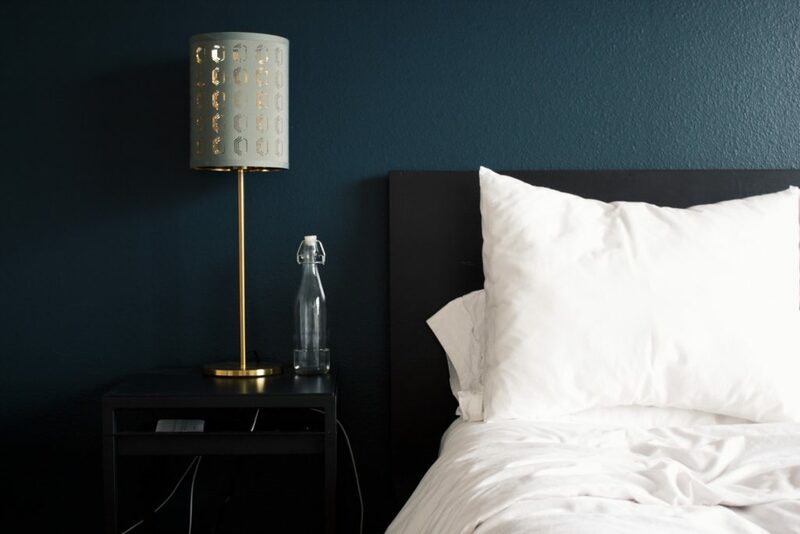 If your current mattress doesn’t promote breathability, check out our guide on finding the best mattress for sleeping cool. While napping in your bed is a restful activity, it can interfere with your established sleeping routine. If you get too much sleep outside of your normal sleep schedule, your body may be unable to rest at bedtime. To prevent a daily nap from hindering your sleep at night, take any nap 5 or 6 hours before bedtime for no more than 30 minutes at a time. Sleeping longer than 30 minutes can cause you to fall into a deep sleep and waking up out of deep sleep can leave you feeling more drowsy than you felt before your nap. For the most refreshing naps, we recommend keeping them around 15-30 minutes. Exposure to sunlight throughout the day can reinforce your circadian rhythm and improve your quality of sleep. Exposure to light controls your production of melatonin, which controls your sleep-wake cycle. Getting sunlight first thing in the morning signals your brain that it’s time to wake up. During evening hours, your brain senses the lack of sunlight and begins to prepare itself for sleep by producing melatonin. Melatonin is a sleep-inducing hormone. At night, your body’s melatonin levels peak, and in the mornings they plummet. We have all been there one time or another, watching the minutes tick by on the clock feeling as if ever falling asleep is impossible. Not being able to fall asleep can cause stress and anxiety, which also prevents you from falling asleep. The more stressed we feel, the harder it is to fall asleep. One way to prevent dealing with stress when you can’t fall asleep is by finding ways to calm yourself down by practicing relaxation exercises for sleep. For some, picking up a book and reading a few chapters may help. For others, counting backward from 100 occupies their brain and bores them to sleep. If you’d rather get out of bed and walk around, we recommend walking to the kitchen to make a cup of chamomile tea. Find out what works for you, and practice those calming techniques when sleep seems impossible. If the thought of adopting each of these sleep hygiene habits is overwhelming, pick one at a time to focus on. Once you’re routinely practicing one habit, move on to the next. Each facet discussed in our guide plays a significant part in helping you sleep better. Once you successfully incorporate one habit into your day-to-day routine, over time, you’ll find others are easier to pick up. 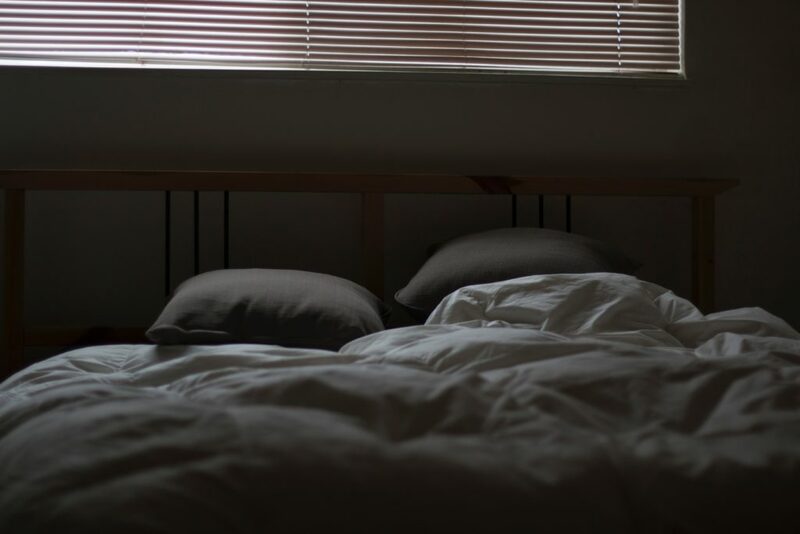 If you’re still struggling to sleep even after having established good sleep hygiene and a proper routine, consider the state of your mattress. Even the best sleep habits can be counteracted by a mattress that is not compatible with your sleep style. If you’re looking to replace your mattress, check out our article on finding the best mattress. 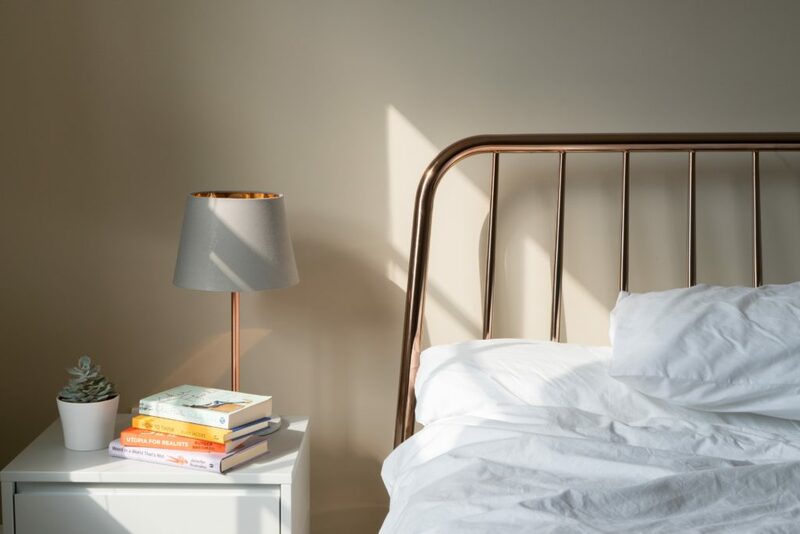 Now that you understand what sleep hygiene is, why it matters, and the best habits to practice, you can begin to get better sleep. Whether you struggle to fall asleep, stay asleep, or experience anxiety, there is a solution to your restless nights. The more of an effort you make to establish these practices, the more likely you are to feel rested each morning. When you feel rested, you can live your best life and make the most of each day. Which of these sleep hygiene habits do you think you’ll struggle with? Let us know in the comments section below.